I’ve been a bad girl. I’ve allowed myself to get distracted by a thousand different things, become a virtual social butterfly, and forgotten what’s really important to me—writing my book. My problem is I’m afraid of the blank page. I’m afraid that the vision in my head won’t translate and that the agent who is waiting for my manuscript will be disappointed when she reads it. The fear has crippled me and driven me to fill my hours with every other kind of busyness I could think of. I can be a remarkably creative procrastinator. So I’ve announced my withdrawal from Facebook and Twitter for one month, I’m updating my two-week-old Google+ presence only once daily, and I’m withdrawing as editor of the Steampunk Shakespeare anthology. That last decision has been the most difficult one to make. I love the project, the stories that have been submitted are wonderful, and my co-editors Matt Delman and Jaymee Goh have worked so closely with me on it that I will miss their e-mails back and forth very much indeed. I want to be an author. I want to see if I can pull this off. I want it badly enough to do the scariest thing ever and actually write. Every day. All day. Until it’s done. I hope those of you who depend on me for updates, info, and answers will understand my temporary withdrawal from the public sphere. I also wish the best of luck to the Steampunk Shakespeare writers, who will be well looked after by Matt and Jaymee going forward. I will return to the team to promote it on publication. I look forward to celebrating with you all when my month’s self-inflicted incarceration is over! 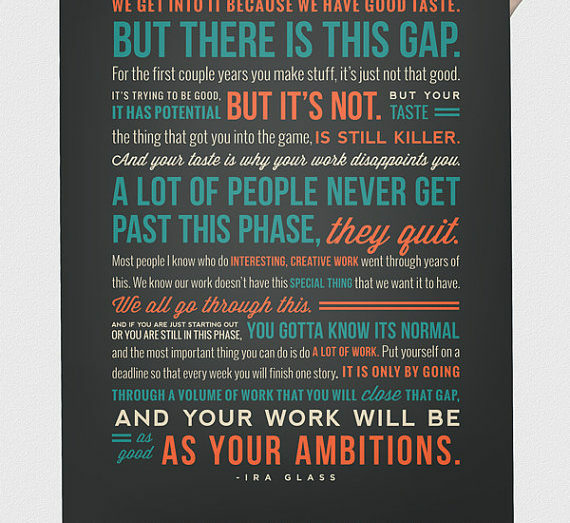 Here’s the advice from Ira Glass that helped me come to this decision. If you’re in the same place as me, I hope it helps you, too. Lia, you can fix everything BUT a blank page, so says the incomparable Nora Roberts. Just let those words out, my dear. The fabulous part is that you can take them back later. Lia, go go go! You can do this. Self imposed isolation is a grand motivation. I look forward to seeing your results next month! I'm doing my own version of pulling up my will power to remember who I am – a writer. My habits are completely disrupted by the move. So when I get to San Francisco, I'll change them and include Daily Writing along with Daily Art no matter how I feel. I can proofread a few pages for typos if I'm not feeling good enough to write, the equivalent of the two minute cat gesture sketch for Daily Art. I will probably do a lot more – because like the cat gesture, that gets me on track and engaged with it. Oh, good, Robert! I feel even better about this knowing that it's inspiring you to reaffirm your commitment to writing, too! The Ira Glass vid is pure brilliance. Just what I needed to hear, thanks! Yes, it had a powerful impact on me, too. Go for it, Laurie! Lia — there is no way, in the world – neigh, in the universes, that a woman with your creativity and crazy ability to bring the disparate together could fail. I've always felt that we don't write the blank page. It writes us, in an "it's the journey, not the destination" kind of way. Jump! We all think you're a rock star, regardless. "We don't write the blank page, it writes us." – You're so right, Gabrielle! And my resolve is already paying off. I slept badly last night (cat and dog took up all the bed between them and I moved to the sofa, then back again) and in the last part of the night when they didn't follow me back to the bed (was it my malevolent stare, perhaps?) I had a wonderful dream that gave me six scenes for the book. Six shocking, romantic, fabulous scenes where the second viewpoint character (who has been harboring growing feelings for the hero but thought he didn't 'see' her) receives bad news that the hero responds to very dramatically, while others conspire to help him. Ack, I can't say more, but it's the turning point I was looking for. I love it when the dream comes like that. When it couldn't be more clear that you're on your right path — your red road, as they say. Everything just shifts (like gears, even). 😉 I've got two little ones, so dream time is a dream itself. 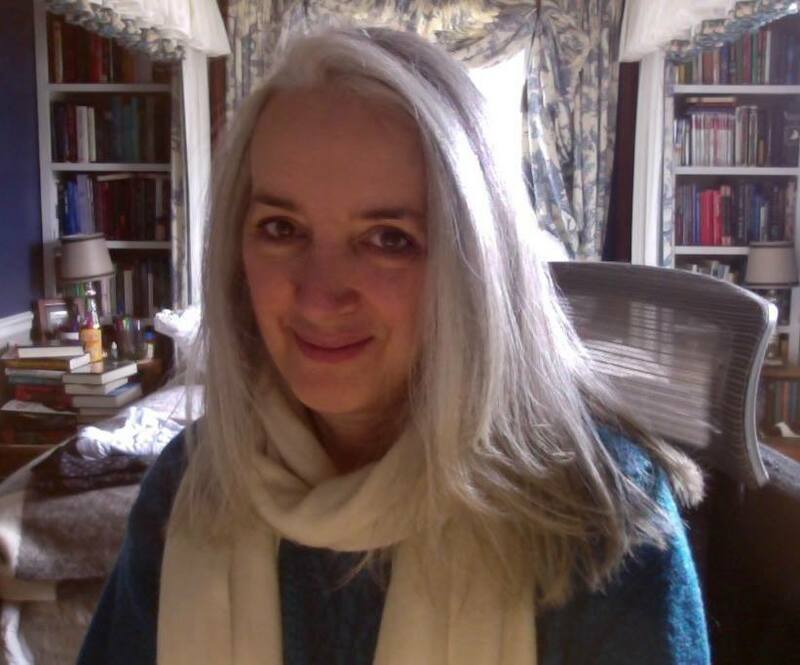 Nonetheless, getting ready to go pitch my book — Moira Black and the Faerie Bargain — a middle grade adventure with a satisfying scintilla of darkness, at the NW writer's conference up by Seattle. It is, if I do say so myself (and I do) going to give Spiderwick a run for its money if anyone picks it up (she said, ever so humbly). Not only my first conference, but also my first nights away from my kids. Whew! Insert stressy, malevolent stares here. In any case, can't wait to read what you write. I keep meaning to buy index cards, but inevitably end up with shredded bits of whatever….once, an ice cream sandwich wrapper. Sigh. Cheers, Lia. I figure it's all good — nothing to lose. Hope your writing is going well. False bravado aside, I'm feeling relatively prepared — considering I haven't done this before. Hope your writing is going well and that any procrastination is just feeding the fire. All the best. We know that you can do this… and don't worry about the agent, or what anybody else thinks. You need to write for yourself first. And if you think what you produce is brilliant…. and you are happy with it? Then that is really and truly the only thing that matters. I'm so pleased for you, Lia. I know you can do this and recently I have realised how much social networking takes me away from my writing. It's so important not to lose sight of what we really want, which as you point out is to be an 'author'. You are so generous with your time and the way you help others. Now you have to think of yourself. Wishing you all the best with your goal. I'm sure you will find this a wonderful fulfilling month. Yes, Dee. I thought I was handling the time well, and I was, but the effect that spending time on social media has on my brain patterns was the real problem here. I couldn't settle into the deep, calm reverie I need for ideas to emerge. I was always skittering around on the surface of things, using a different part of my brain. I don't quite know how else to put it. But I already feel more serene. Quiet mental space is hard to find these days! Thank you for your support! You know, I think this quiet mental space is a good part of my problem as well. I need to give Google+ some space as well. I generally do my writing in the morning, so I think I'm going to commit to not doing anything internet related until after writing is done. My wife has encouraged me to do just that many times lately and I think it's time I followed her advice. Oh, and the wings on your header look so much like the Freakangel wings! Paul is awesome. You're doing the right thing. Just write. Words – lots of them. You will have plenty of time to massage them after your month is up. I think you set an example for all of us procrastinators, Lia. I know you can do it! Go for it, fill that page and many more. Looking forward to it, Mina! Thanks for taking inspiring action! Thank you for the encouragement, Victoria! I'm like that little mouse conditioned to go back for more cheese, again and again. I love gathering and sharing info online and getting comments from friends. It kills the isolation of writing. But it also kills the quiet mind, almost a state of benign boredom that lets ideas close enough to whisper in your ear, "What if…?" Ah, yes, that's the thing to remember, isn't it? They don't actually have to be perfect when you first lay them down on paper. *headslap* 🙂 Thank you! I commend you Lia. One of the things I struggle with is living my life for others. I do things, sometimes, out of obligation, perceived or otherwise, and I get lost in deluge of stuff to do. Well, I have to remember that MY stuff to do is important as well. Its not being selfish, it is self love. Those who are your true friends understand this. I will miss the things you post (and I have paid attention to them), but heck… when you are spread so very thin, there is little left for you. Conquer and thrive. We'll still be here when you are done! Thanks for your inspiration, both for the information you share, and for your inspiration. I think I am gonna go write now! Hugs. ← How Are You Using Your Social Media Super Powers?